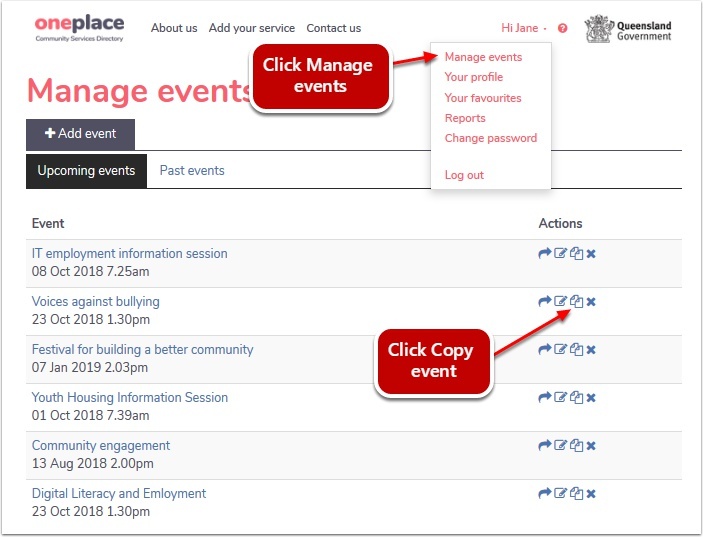 Logged in users of oneplace are able to copy events for their organisation. Events that other logged in users have created can be copied provided they are from the same organisation as you. Select Upcoming events or Past events tab. 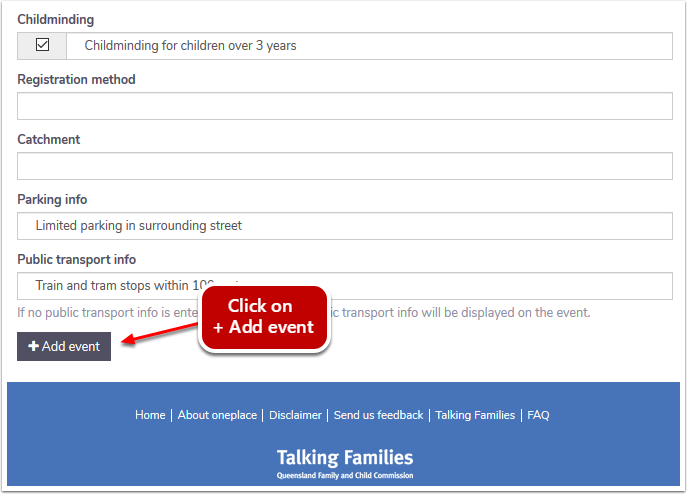 Locate the event you want to copy. 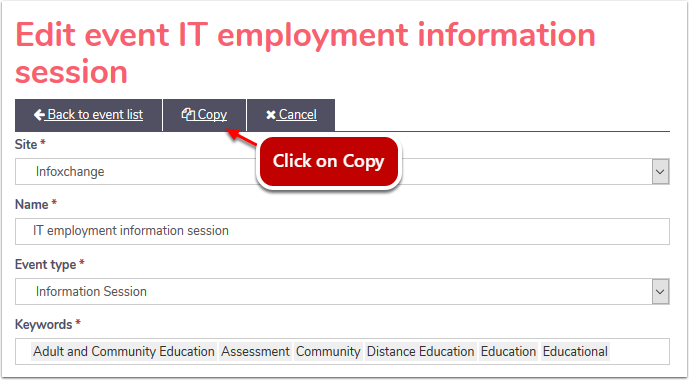 Click on the two page Copy icon to the right of the event that you want to copy. Edit the details where required. Scroll to the bottom of the event. 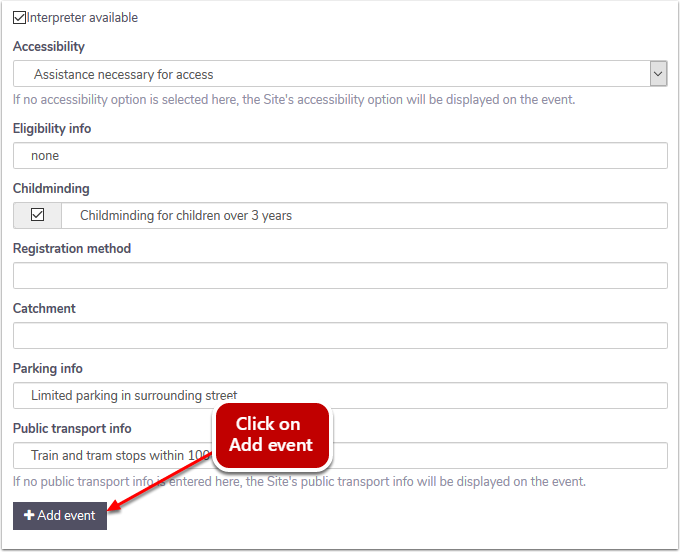 Click on + Add event to save the new copied event. 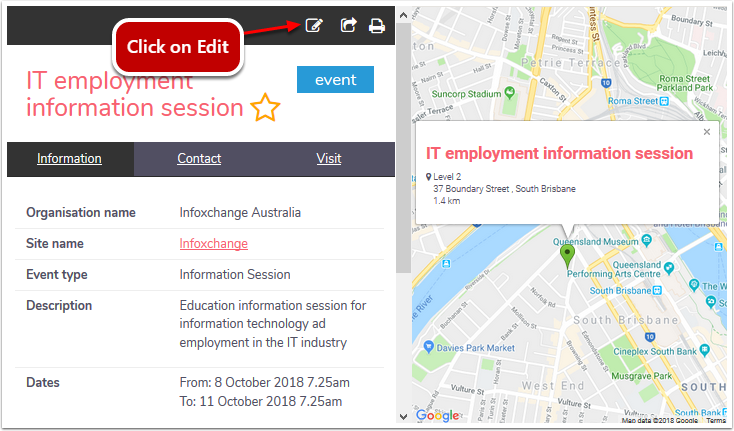 View the details of the event you want to copy. 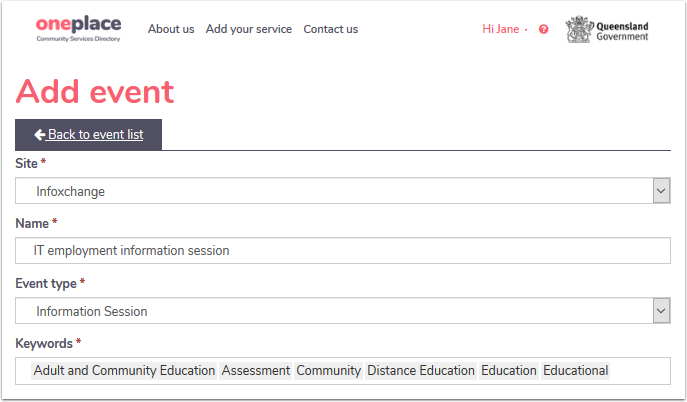 At the top of the form, click on the Copy icon in blue. The Add event page will appear with all the copied fields. Edit the form where required. Scroll to the bottom and click on +Add event.